GRSP - Practice Exam Software Home Study Course. Includes ComStudy Software and GROL+RADAR Study Manual for the 2009 FCC Elements 1, 3, and 8 Commercial License Question Pools effective December 26, 2009. The all new 320-page book is a comprehensive study manual containing all of the official FCC Q&A, along with Gordon West's educational answer explanations to increase understanding of the correct answers. 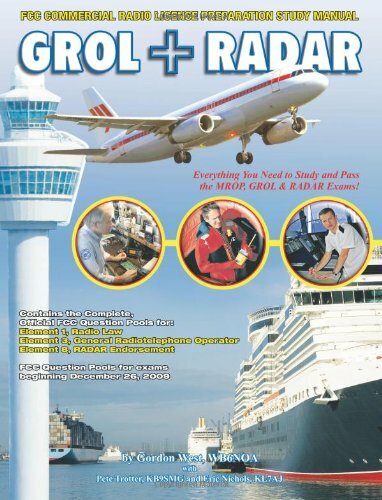 The New GROL+RADAR is in a new, 8 1/2 x 11 larger format for easier reading and study. ComStudy Ver 6.0 Software compatible for all versions of Windows. No internet connection or computer installation required, runs directly from CD media.Valid for exams taken after 12/26/2009 and beyond.